When communities take a moment to consider their most important assets, the items often mentioned include high-quality schools, access to parks and open space, a strong job base, and even a vibrant arts scene. How often have you heard an ample supply of affordable housing mentioned as an asset? Instead, conversations about affordable housing usually focus on the cost to taxpayers and rarely take into account the fiscal and economic benefits that accrue when communities encourage the development of affordable homes. As cities and counties try to bring their revenues and expenditures in-line and prioritize how to spend scarce resources, policymakers and planners should understand the benefits of well-designed affordable housing programs. Such programs are important now more than ever, as research demonstrates that housing affordability has worsened significantly in recent years. While the provision of affordable housing involves important social and civic values, we believe its important to also focus on affordable housing’s economic and fiscal impacts. Many employers have reported that a lack of affordable housing makes it more difficult – and thus more costly – to recruit and retain employees. In a national survey of more than 300 companies, 55 percent of the largest respondents acknowledged an insufficient level of affordable housing in their proximity, and two-thirds of the same respondents believed that the shortage negatively affected their ability to hold onto qualified employees. A recent study revealed that retail salespersons could not afford to rent a typical one-bedroom apartment in 184 of the 210 markets studied. 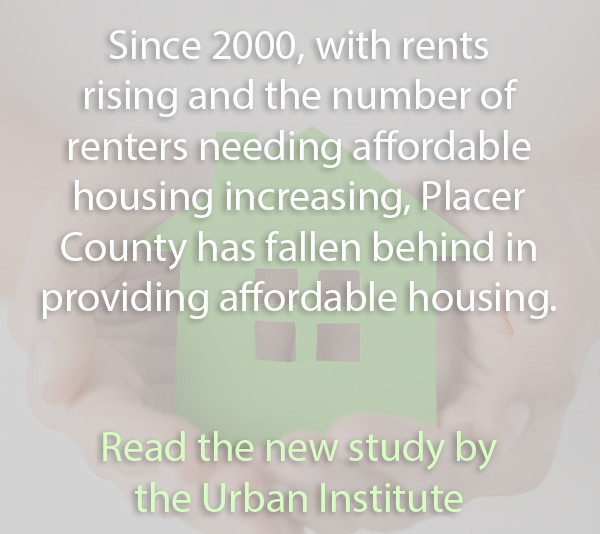 From an employer’s perspective, a lack of affordable housing can put a local economy at a competitive disadvantage. Affordable rent and mortgage payments can significantly increase the residual income that households have at their disposal after meeting necessary housing costs – by $500 or more per month in some cases (source). Research shows that low- and moderate-income households are more likely than others to spend this money on basic household needs such as food, clothing, healthcare, and transportation. Local businesses stand to gain from the increased buying power made possible by the availability of affordable housing. Quality of property management and maintenance: While poorly-maintained housing depressed nearby property values, well-maintained and managed affordable housing was more likely to have a neutral or positive impact. Project design and size: Attractive buildings that blended in with the surrounding neighborhood had a neutral or positive impact on the values of nearby properties. In addition, new affordable developments often helped revitalize blighted neighborhoods when included as part of a broader community revitalization strategy. Existing neighborhood trajectory: Well-designed and located affordable housing was unlikely to negatively impact property values in strong neighborhoods. It stands to reason that building or rehabilitating affordable housing creates jobs in the construction field. Research by the National Association of Home Builders (NAHB) estimates that building 100 affordable housing units for families through the Low-Income Housing Tax Credit program can lead to the creation of more than 120 jobs, on average, during a project’s construction phase. Even more importantly, long after the homes are occupied, the ripple effect from residents of these new units can support as many as 30 new jobs in a wide array of industries, including retail, healthcare, and local government. These employment effects are on par with building comparable market-rate units. When affordable single-family homes are built or rehabbed, the funds flowing to cities and states can be considerable. Revenues can take the form of fees for permitting, zoning, and utilities, or they can reflect sales, income, or property taxes generated by construction-related economic activity. The NAHB estimates that 100 units of affordable housing for families generates the same amount of one-time revenue for jurisdictions as does a comparable market-rate property – roughly $827,000, on average – with more than half coming from permit/impact fees and utility user fees. One persistent concern raised about affordable housing development is that it will flood local schools with children, increasing the demand for school facilities and educational services. Putting aside the need for our society to provide a solid education to all children, do lower-income households actually have significantly more children than upper-income ones? The answer is no. Today there is only a small difference in the average number of children per household when comparing income levels. Another benefit is avoiding unnecessary, costly public expenditures by providing stable living situations for people experiencing homelessness in our communities as well as people with special needs. Recent research suggests that low- and moderate-income households who participate in affordable homeownership programs have a much lower risk of delinquency and foreclosure than similar buyers with prime or subprime loans. Reducing foreclosures not only helps stabilize neighborhoods, but also yields significant savings for local governments that may otherwise have to absorb costs related to property maintenance, court and legal expenses, increased police and social services for the affected neighborhoods, and, in some cases, demolition of abandoned houses (source). Even when vacant homes are spared from demolition, they can drain public coffers. Abandoned homes can decrease the property taxes, utility revenues, and other taxes and fees that jurisdictions typically collect. It is also well documented that vacancies can affect the value of nearby homes, further reducing property tax revenues (source).